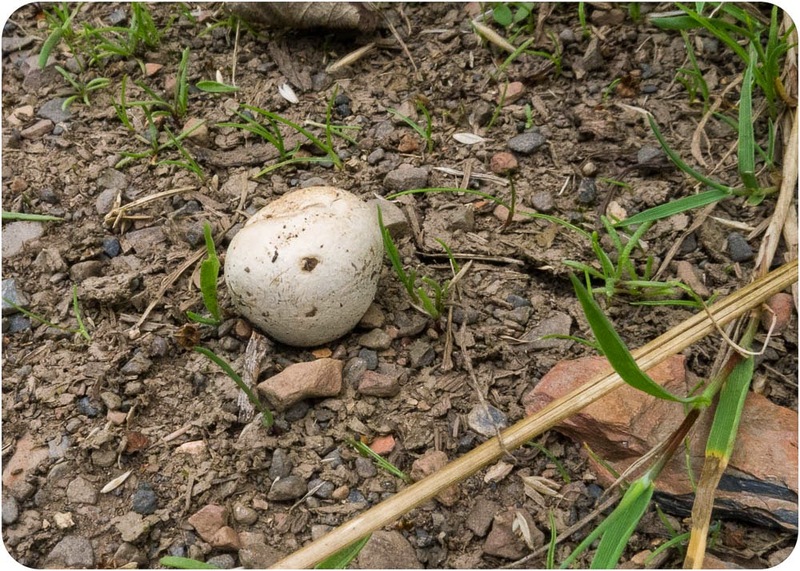 Walking along the track on Pembrey Burrows there were a number of small puffballs, the largest being about 2.5 cms in diameter, which I take to be Grey Puffballs (Bovista plumbea). 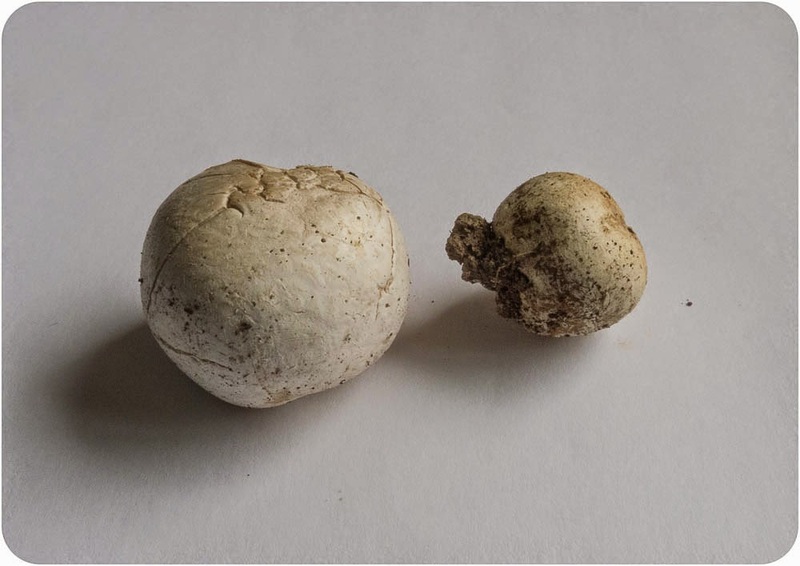 "Unlike Lycoperdon puffballs, Bovista species are stemless and they are attached to the soil by white mycelial cords that fracture at maturity, allowing the wind to blow the spore-filled fruitbodies along; in this way spores are distributed widely." - See First-nature.com. The smaller one with the darker spores actually broke away when I touched it, but it was soon captured and taken off for its untimely demise! 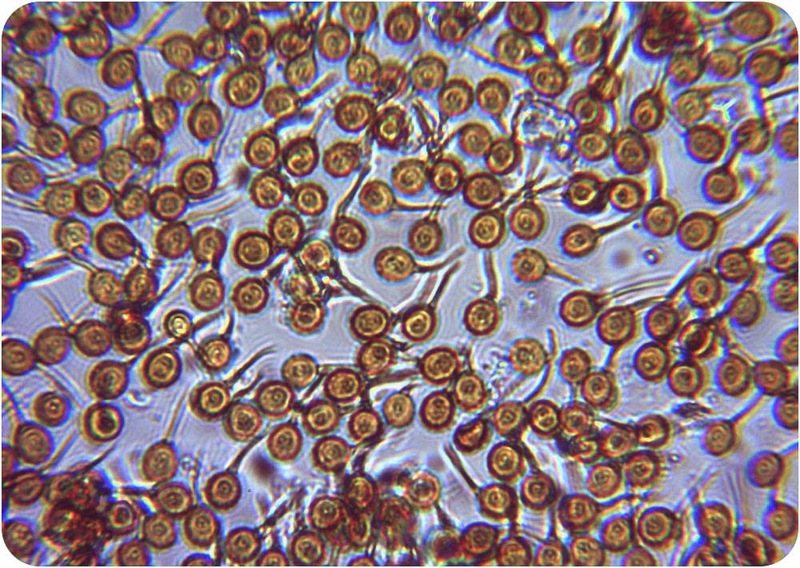 I've included a picture of the spores because I think they look so attractive. Lead-Grey Bovista is always nice to find either blowing about in the wind or fresh fb's after some rain. Found most of the year at Pembrey saltings on old fixed dunes. The white outer (exoperidium) soon breaks away to reveal the paper-like grey endoperidium. 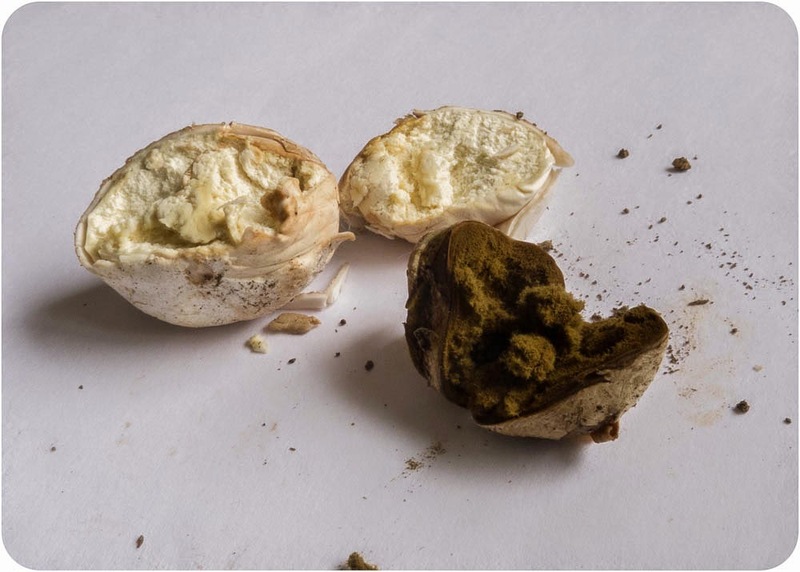 The spore pic is great as this shows the long sterigmal remnant and spores with low warts (not completely smoothe).